The primary task of a CRO specialist is to improve the conversion rate of visitors to your website into returning customers. One of the ways to improve the conversion rate of your site is to find out exactly what your visitors and customers think of your site. The easiest way to find out what visitors to your website think, is to create a customer feedback survey. What is a customer feedback survey? Customer surveys can be conducted in several different ways: face to face, over the phone, and via email or the internet. Before creating a customer survey, it is important to understand what information you need, to gain an insight into what elements of your website are gaining traction with your visitors and what elements of your website are losing visitors. You can then design a detailed and well-structured survey which has the best chance of returning valuable customer feedback. Based on a detailed analysis of the results of a survey, you will then be able to make constructive and meaningful changes to your website. Another important point to remember is that not all the visitors to your website need to fill out the survey. There will be enough of a population sample that will participate in the survey; thereby, giving you enough information to understand the current state of your business. Let us say that you are a children’s clothing designer, and you sell your manufactured clothing online. You design functional clothing rather than high-fashion clothing. You have noticed that certain ranges are not selling as well as you thought they would. Why are these ranges not selling? What is wrong – the clothing or the way it are set out on your website? Why do you need a customer survey? The best way to determine the reasons why these clothing ranges are not selling is to design a customer feedback survey and post it on your website. Every person visiting your site is asked to participate in the survey before leaving your site. It is also important to be proactive instead of reactive. Remembering that the primary goal of a customer feedback survey is to provide feedback, which will help convert visitors to your site into returning customers, you can create a customer feedback survey before you manufacture your latest range of children’s clothes. Will your visitors buy the clothing for their children? If not, why not? Based on the results of this survey, you can make the necessary changes to your website, and your latest clothing range. Before you create a customer survey, you need to be sure to set the right goals for your survey. 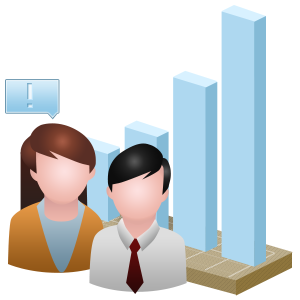 TruConversion advises to set smart goals for your feedback surveys. Specific – what is your objective? Measurable – how will you measure your objective? Achievable – are your goals achievable? Realistic – is your timeframe realistic to achieve your goals? Timed – do you have a timeframe to meet your goals? How do you create a customer survey? Divide your site’s visitors up into categories and sub-categories and send each grouping a micro-survey based on the sub-category they belong to. For example, why come geographic regions have a higher conversion rate than others, it’s important to ask people who live in different geographic regions, questions based on the region they live in. Create buyer personas for each customer grouping. This will allow you to ask relevant questions depending on each buyer persona. Offer a small reward such as a free gift or discount to people who take the time to fill out your customer survey. Use tools such as heat maps as part of your customer survey process. Heat maps will point out what areas of your website your visitors avoid and what areas they spend the most time on. A/B testing is a useful way to find out what your site’s visitors prefer. For example, if you want to know which “call to action” button your users prefer, provide them with a survey that asks which button is better. Based on the results of the feedback, you will know which button to implement on your site. The process of monitoring your website’s conversion rate, evaluating your customers’ needs, and improving your website based on their needs, is a cyclical process. 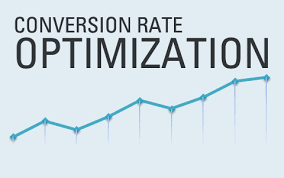 If your website’s conversion rate improves; then, you have correctly analysed the feedback and implemented the necessary changes. If not, then it is time to go back to the drawing board and restart the process of monitoring, evaluating, and upgrading your website. If you want to implement a new product range, it is advisable to be proactive and find out what your customers think; before, you spend substantial amounts on the development of a new product line, only to discover that no one is interested in purchasing your new products. In conclusion, the main purpose for creating customer surveys is to improve the conversion rate of your site’s visitors into returning customers. Converting visitors into returning customers is the sole reason for being in business.